Nowhere Close premiered Friday night and is now online for all to see. Check out the almost 30 minute online video featuring the Skeptic Media team and a ton of NYC local skaters. “Times are tough and skaters have enough to worry about when having to shell out money to replace skate parts, traveling to spots, buying food out on the road. SkepticMedia™ has decided to take one more financial burden off of the struggling modern day skater and announce our video to be released, online. We see no need in charging to share something we all know and love and cant get enough of” – Skeptic Media. 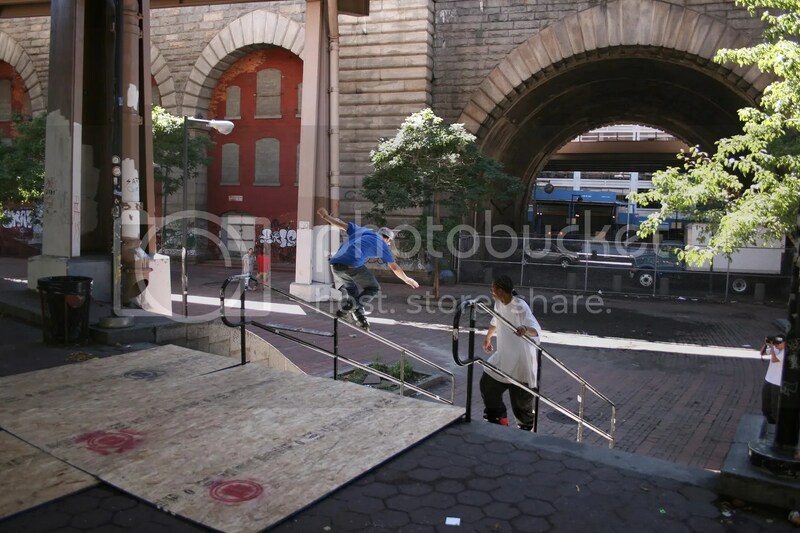 Check out the edit of Queens, NY’s Joaquin Fletcher skating the box in the Lower East Side in Manhattan, NY. Filmed and edited by Navin Hardyal. Navin Hardyal of Skeptic Media uploaded footage from yesterday’s grand opening of the Pier 62 skatepark. The edit features skaters Ruben Perez, Edgar Rivera, Evan Grimball, Gregory Sturino, Joaquin Fletcher, Ariel Surun, Jon Ortiz, Ryan Many, James Perez, and more. Filmed and edited by Navin Hardyal. This week’s C.O.W. is brought to you by Skeptic Media. 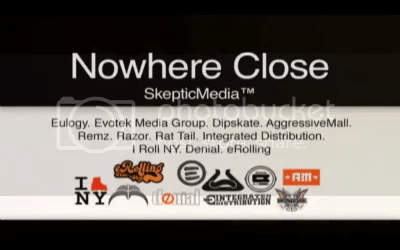 I Roll NY has been getting exclusive content recently including a sneak peak at the Last Man Standing DVD, the Signature DVD, and today we get a sneak peak at Skeptic Media’s online video Nowhere Close. See the trailer here. Navin Hardyal sends us a 2 minute snippet from Skeptic’s Nowhere Close for this week’s Clip of the Week. Check the edit of Skeptic Media’s Joaquin Fletcher and Greg Sturino at Drop-In Skatepark. A couple of quick clips of some of the tricks that went down last month. Navin Hardyal and the Skeptic Media crew answer the call and shut up all you little internet kids. Remember to pick your jaw up from the ground after the trailer’s done. “Times are tough and skaters have enough to worry about when having to shell out money to replace skate parts, traveling to spots, buying food out on the road. SkepticMedia™ has decided to take one more financial burden off of the struggling modern day skater and announce our video to be released, online. We see no need in charging to share something we all know and love and cant get enough of. Expect the online video release in a month. A special thank you to all of our sponsors who were also major supporters for our “Fair is Fair Competition” last thanksgiving” – Skeptic Media.